Haiti is the poorest country in the Western Hemisphere, and the northwest area surrounding Port-de-Paix is the poorest of the poor. Residents live in desperate circumstances without access to clean drinking water or electricity. Malnutrition and chronic illnesses, including cholera, are widespread and nearly 50,000 children die in northwest Haiti per year. 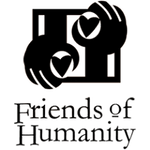 Friends of Humanity also works with Beraca Medical Center, which operates a nonprofit 78-bed hospital, outpatient center, laboratory, and pharmacy. It provides the only source of free or low-cost healthcare for the 500,000 impoverished residents of Port-de-Paix. More than 28,000 checkups and 800 critical surgeries are performed here every year. Friends of Humanity works with House of Hope to bring humanitarian aid to the children of northwest Haiti in the most desperate need. House of Hope was founded in La Pointe des Palmes, Port-de-Paix in 1956 to help orphaned, ill, and disabled children. Nearly 90 children live here and are given food, medical care, and the opportunity for an education.